SPW035663 SCOTLAND (1931). Tilbury Contracting and Dredging Co. Ltd. Quarry and Thomas Ward and Sons Shipbreaking Yard, Inverkeithing. An oblique aerial photograph taken facing south. Title [SPW035663] Tilbury Contracting and Dredging Co. Ltd. 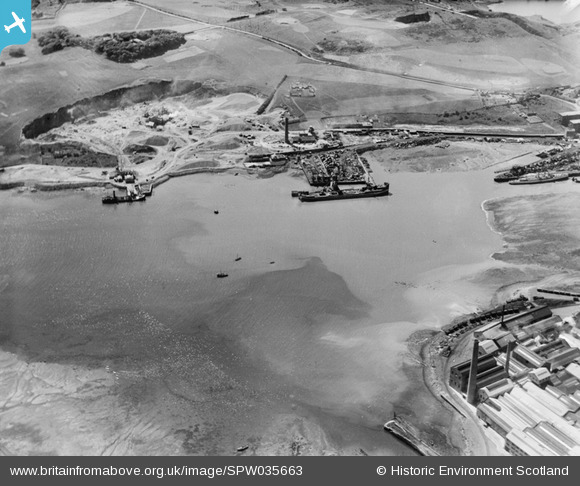 Quarry and Thomas Ward and Sons Shipbreaking Yard, Inverkeithing. An oblique aerial photograph taken facing south.